Education and media services both provide services that embody local cultures, in which there is extensive public sector participation and significant domestic regulation. At the same time, they are dramatically affected by the information and communication technology revolution. The production of information content now involves huge costs in terms of research and development or artistic talent, while the cost of making such products available to other consumers is very low. This in turn challenges the effectiveness of domestic regulation and raises fundamental questions about its purpose, calling for an increased scope for international trade and investment, and the development of supply chains. 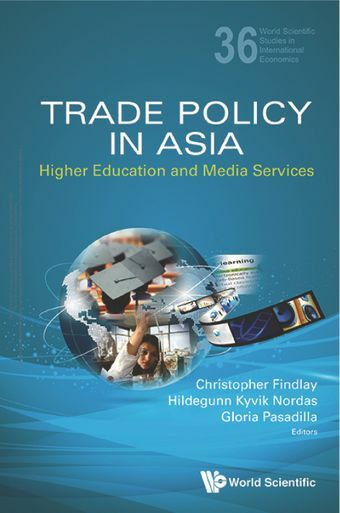 This book provides readers with a comprehensive and consistent treatment of policy in the higher education and media services sector across a range of Asian economies little studied in the existing literature. It gives an overview of global trends in each area, followed by detailed, country-specific studies. Through comparative work, it identifies common elements across these sectors and highlights critical implications for trade policy.